And do not have a welcome. Even if it is something only for you. But to work on a computer is shameful they say. Wasting time and doing nothing but acting like a bore. And nothing new is worth noting as important even if it is. To share and create and to make days more worth living. But is it any surprise with the chains on their minds? But now all I can think of is death and disease. For lack of acceptance of what it is to be free. We are one world – One Family. We are Americans – We are Global Citizens. We are the Survivors – We are the Strong who have come through wars, disease, famine and pestilence to stand here today. We are the ones entitled to freedom and the rights guaranteed by our US Constitution. We are equal in the sight of God and equal with every other person in the world. We are the equals of every other living human being and every other citizen. We are legally, ethically and morally entitled to equality and full equal rights. We are no more sinners than anyone else. We are no less human or deserving than anyone else. Denying our equal rights is to abrogate and deny the validity of our US Constitution, our Bill of Rights and to show contempt for every drop of blood spilled to protect them. We are Americans. We are global citizens. We are equal to you in every respect. We are one family. We are one world. We are citizens of one America – not of two or three, not second class citizens, nor even less as your beliefs insist, and certainly, NOT less than you in any way. Your HATE IS THE ENEMY of all that is good and decent – not us and not our choices and lifestyles, our way of conducting our lives and our differences from you. Hatred and intolerance based on ideologies and beliefs are the basis of evil and actions of evil – not us, not our lifestyles. We have the right to be here. Our lives are not less valuable than yours. We are the Survivors.- We are Diverse and that diversity is the strength and power of America, of the world and of the human race. We bring a strength, character and diversity of strength that you could never have. Nature did not make one flower of a single kind, shape and color. Nor would there be flowers of any kind today, if it had. Nature by great creative force made billions of diverse types of every single plant and being, of every cell and molecule,.of every type and kind of everything created. That is because diversity is power and diversity is strength. 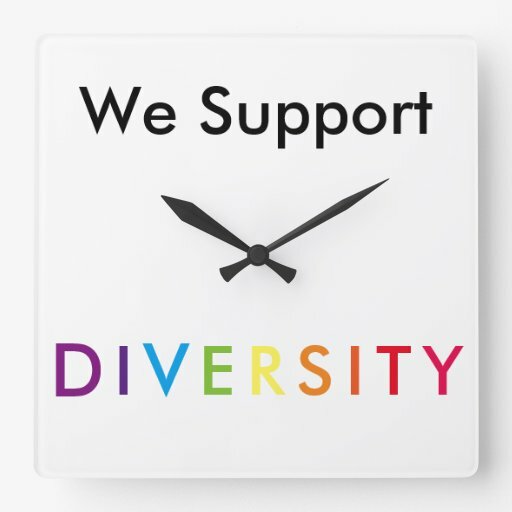 Diversity supports thriving and greater survival while supporting optimum, successful lives of all species by its very nature. Nature does it this way. Perhaps God designed it this way. What neither designed, is the destitution of mind that forces all to be the same or for their rights and freedoms to be forfeit or denied to them, to be denied opportunities to thrive and succeed, to be isolated and enslaved. Join us in supporting Diversity and PRIDE 2016. Last week, I received a tweet from someone I’m following that had a link to an article about how diversity is bad for America. It was from a far right wing Christian group with a family supportive name and yet it is far from that. There must be those in the US who believe that the “all men are created equal” words from our Constitution doesn’t amount to much in practice. They are wrong. Aside from the words in our Constitution, whether by nature or by author of a Creator as many religious faiths believe – our world is filled with not one single flower of all the same type and color, but many. In fact, there are thousands of flower types with varieties within each and even the single flower among them shows its own diversity from the vast majority. There is a strength in diversity that has made America great. It is shown in nature by the very variety of plant and animal species which by God or nature ordained may be why that diversity exists. Each individual in a diverse system contributes what the rest cannot and in that way the fabric of the whole is strengthened. In the fabric of our nation, it is the poor who bring a practicality of thinking to the table that no other could and it is the cultural differences among out people that bring strengths together which no other nation or peoples could gather. By being woven into one nation, we are each a part of something greater to which we are contributing and by our unique suitability are strengthening in our part as it is woven together with others. Our weaknesses are but weakness when they have no context or useful purpose as a weed out of place in a garden. But those weaknesses can become strengths together with applying their lessons and using those ways of thinking they make possible, such as impatience applied where it’s use is helpful as ambition or refusing to wait when it isn’t helpful to be waiting any longer. And when our individual weaknesses are joined with others – with both their strengths and weaknesses and unique perspectives and experiences, the strengthening and possibilities are heightened exponentially. That is what has made America great.